We put our computer manufacturing expertise to work for you. We have the capacity to do everything from rebranding our standard computer and storage solutions, to taking your custom product designs from BOM sourcing and assembly to fulfillment and end user support. We can work with your engineers to refine the product design to streamline production and reduce waste. We design custom OEM or retail packaging materials to make your finished product world-class presentable. We have a full product line designed for various applications to which we can apply VAR branding to make our hardware your product. We can work with your engineers to benchmark hardware with the intended applications to derive purpose-built solutions specifically for use in your environment. We can load customized operating systems and software applications for a turn-key, out of box experience for end users. We can custom design carrier certified, commercial or retail branded packaging and shipping materials engineered with style and protection in mind. We can handle your fulfillment needs by warehousing product stock and can dropship globally to individual end users, on demand. We can support your service team (3rd party) or support the end user directly (1st person) on your behalf. We provide a wide array of flexible support options that can be taylored so that your end user customers enjoy the same level of world class support we provide our direct users. 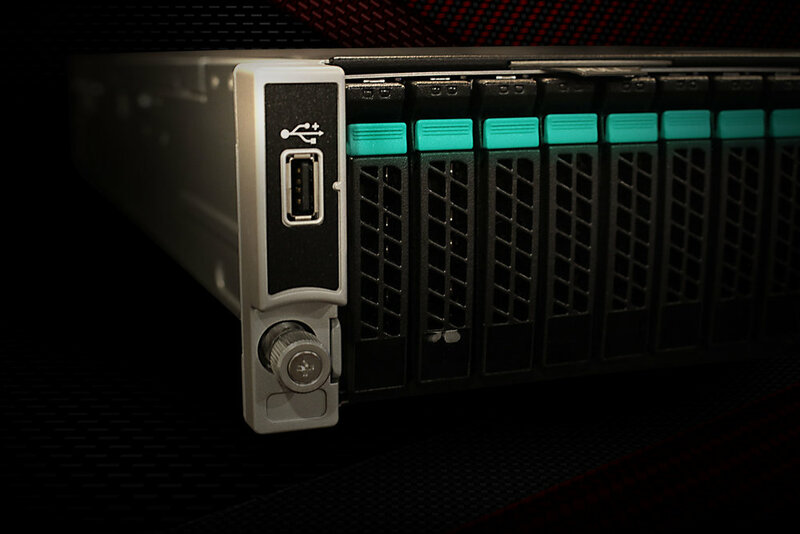 Proactive Technologies provides a full range of server and storage virtualization solutions to fit any budget. With 15 years of server and storage vitualization experience, we are poised to help you optimize hardware and energy resources by migrating current infastructure to virtualized environments. Our engineers are VMWare, Microsoft, and Google certified allowing us to build scalable solutions that fit any budget. We can assist with turning "virtualization" from a buzzword into a real solution that supports business continuity, optimizes system resources, and IT expenses. Google Apps is a cloud-based productivity suite that helps you and your team connect and get work done from anywhere on any device. It's simple to use and manage, allowing you to work smarter and focus on what really matters. Google Apps includes: Gmail, Calendar, Drive, Docs, Sheets, and Slides. Microsoft virtualization solutions go beyond basic capabilities, such as consolidating server hardware, to create comprehensive platforms for private and hybrid cloud. This means your organization can achieve considerable cost savings and operational efficiencies. Eliminate over-provisioning and increase server utilization and limit the environmental impact of IT by consolidating your server hardware with VMware vSphere®. Benchmarked and certified platforms for industry standard applications. 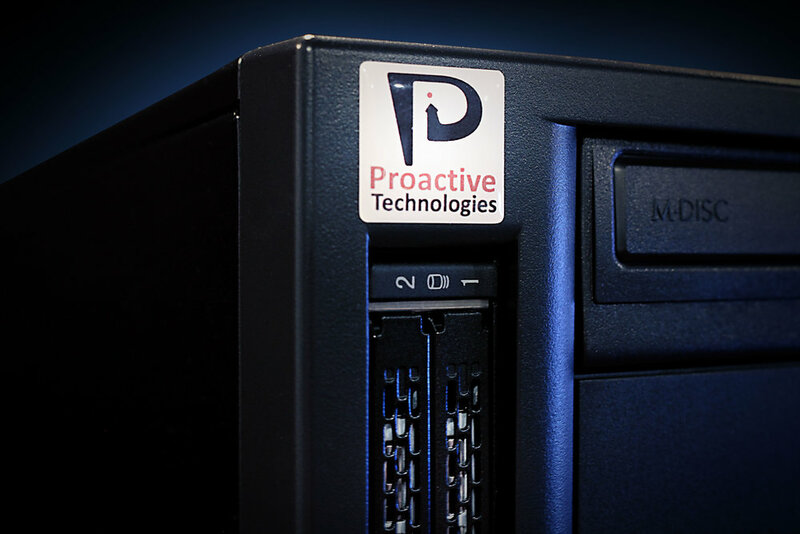 Printers choose Proactive Technologies because we understand the industry. We know our machines are the infrastructure that digital printers build their businesses on, and we take pride in providing rock-solid, reliable computer technology. Only the highest-quality components go into our customized systems, which are hand-built and tested in our facilities by the same specialists behind our state-of-the-art storage and networking solutions. We believe in delivering proactive service to keep you up and running. At Proactive Technologies, we don't believe in service contracts. In fact, we provide free phone support to our customers for the life of the system. We also have an extensive online Knowledge Base that serves as a 24/7 support portal. If you have a question or encounter a technical problem, check this cooperative resource first; you may be surprised at how many issues you can resolve right away. Of course, if you still have questions we'll be glad to answer your call, day or night. Industry-leading original equipment manufacturers like Screen USA, CGS, FUJIFILM Graphic Systems, Onyx, GMG, ICS, EFI, Hybrid Integration and Agfa look to Proactive Technologies to keep their applications at peak performance.